Published: February 6th, 2019 by Simon. Filed in Kitchen and tagged bathroom tiles, feature tiles, tiles. When it comes to the overall style of your bathroom, feature bathroom tiles play a big role. Feature tiles can completely define the look as well as the feel of your space. Thereby, choosing the right feature tiles will go a long way in helping you design your bathroom. With this in mind, we’ll take a look at some of our favourite feature bathroom tiles in Perth available here at Ross’s Discount Home Centre in today’s post. Each of these feature tiles offers a stylish and trendy look, and they are all specifically designed for bathroom use. You won’t go wrong in choosing any of these for your upcoming bathroom renovation or new home build. 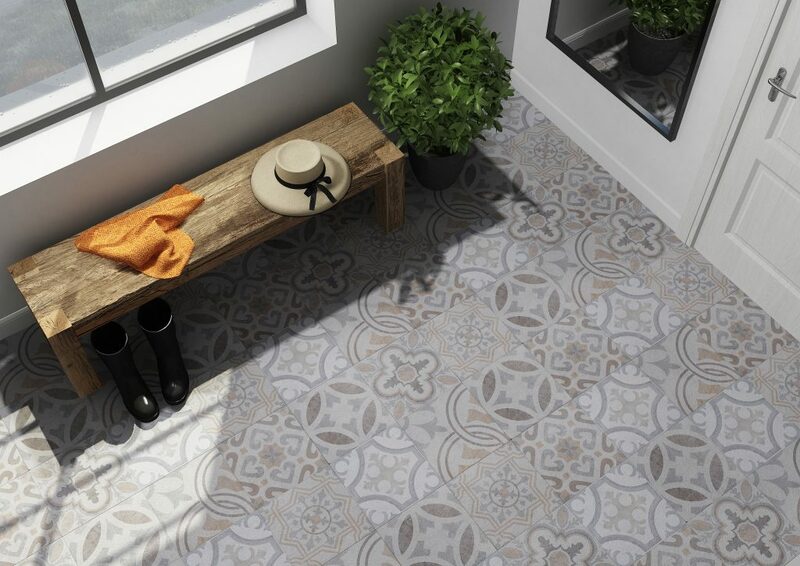 As a bestseller at our store, everybody loves the Charm Arabescato feature wall tile! This faux marble tile features a white design comprising of subtle marble-like markings. Use this tile to create a modern, refined look. You can purchase the Charm Arabescato feature bathroom tile in Perth for $35 per square metre from Ross’s Discount Home Centre. The Deco LYS Gris feature wall tile will help you create a unique look in your bathroom. What’s great about this feature bathroom tile is its decorative design, which comprises multiple mosaics in different shades of grey. Its unique look will allow you to add character to your bathroom. 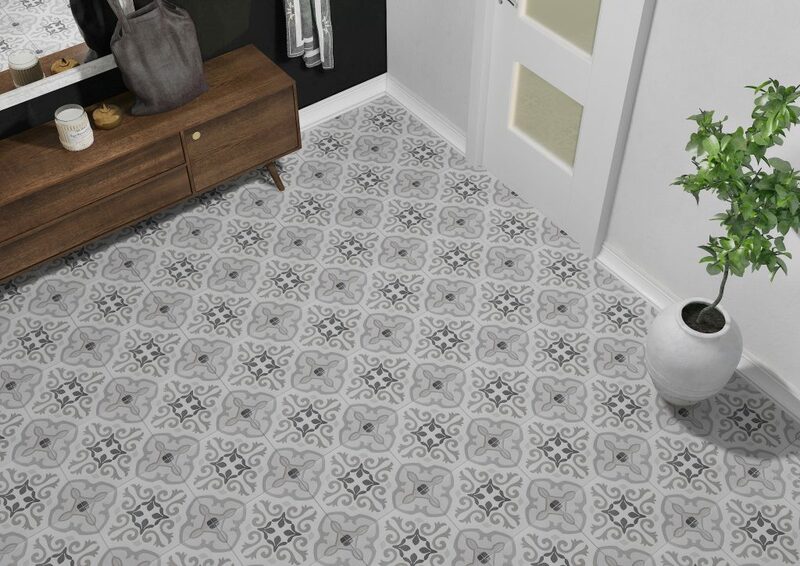 Purchase the Deco LYS Gris feature tile for $45 per piece from Ross’s Discount Home Centre. To make your tiles the feature of your bathroom, consider the Design Evo feature tile on either your bathroom walls or floors – or both! 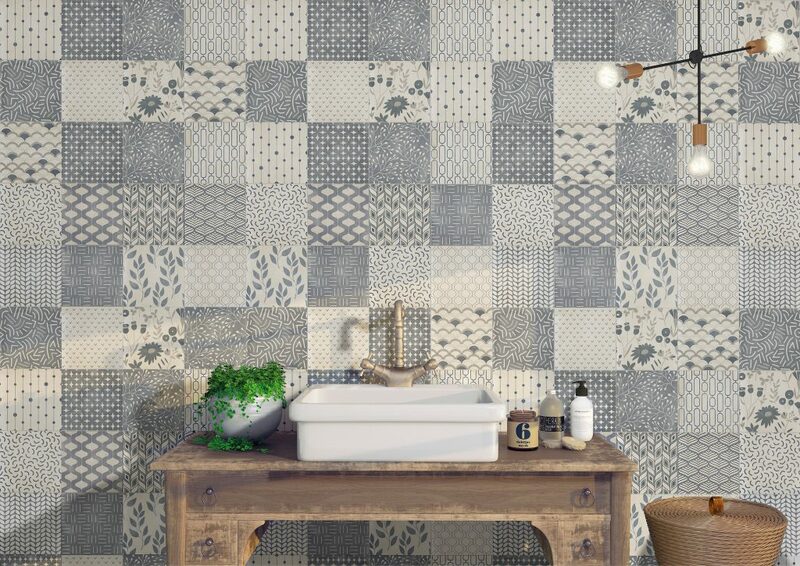 This patterned tile features different patterns in multiple grey shades pairs extremely well with contemporary décor and matt black bathroom fittings. This feature tile can be all yours for just $10 per piece at Ross’s Discount Home Centre. Why not give your bathroom a lavish look by choosing the Llanes Décor feature tile. 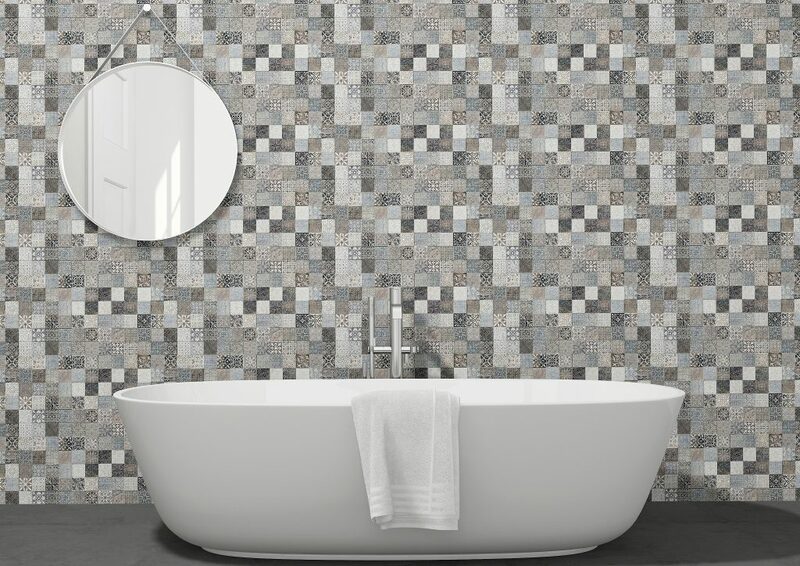 This versatile feature tile can be used both on bathroom walls and floors including shower areas. 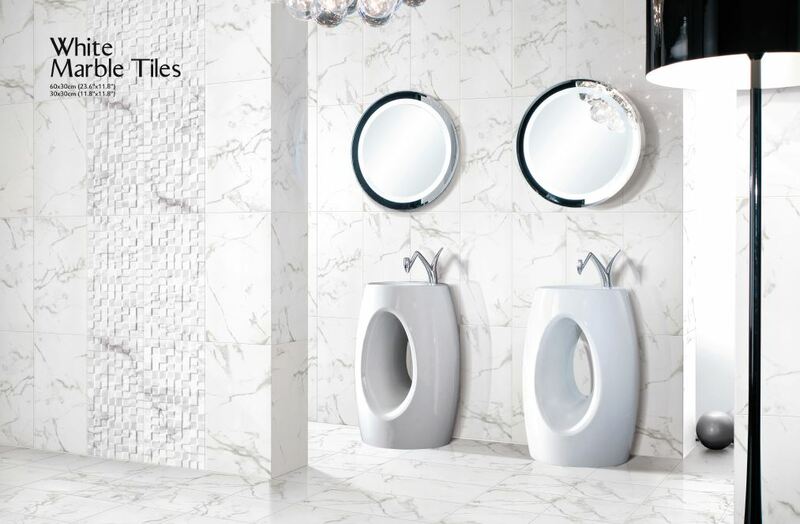 With 6 eye-catching patterns, this feature tile will transform your space completely! Buy our Llanes Décor feature bathroom tile in Perth for just $20 per piece from Ross’s Discount Home Centre. 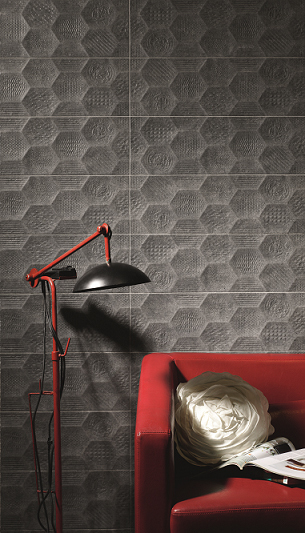 Create a bold, sophisticated bathroom design with the Loft (Grafito) feature wall tile. It comes in a graphite finish and features a unique design that comprises hexagons inscribed with different patterns. It is best suited for use in contemporary or modern settings. You can purchase the Loft (Grafito) feature wall tile from our online store for only $20 per piece from Ross’s Discount Home Centre. To give your bathroom a traditional, yet stylish look, you’ll find no better feature bathroom tile in Perth than the Marquez Jet Gris feature tile. This versatile tile can be used both on your bathroom walls and floors, allowing you to create a consistent and seamless look. It pairs very well with both wooden and traditional décor. This gorgeous feature tile can be yours for just $20 per piece at Ross’s Discount Home Centre. 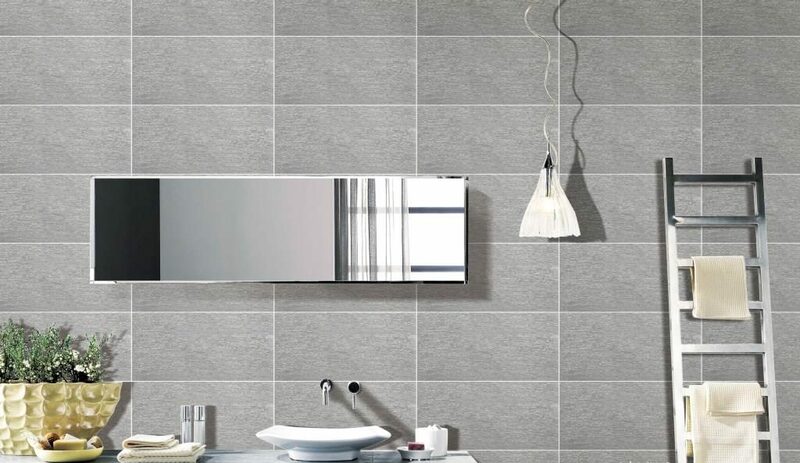 The Nimes Gris feature wall tile will help to create a sleek and updated look in your bathroom. It features a unique dark grey stone-look design is pairs well with chrome and matt black bathroom fittings. Moreover, its natural colour complements both white and natural wood cabinets. Purchase this sleek feature bathroom tile from Ross’s Discount Home Centre for only $20 per piece. 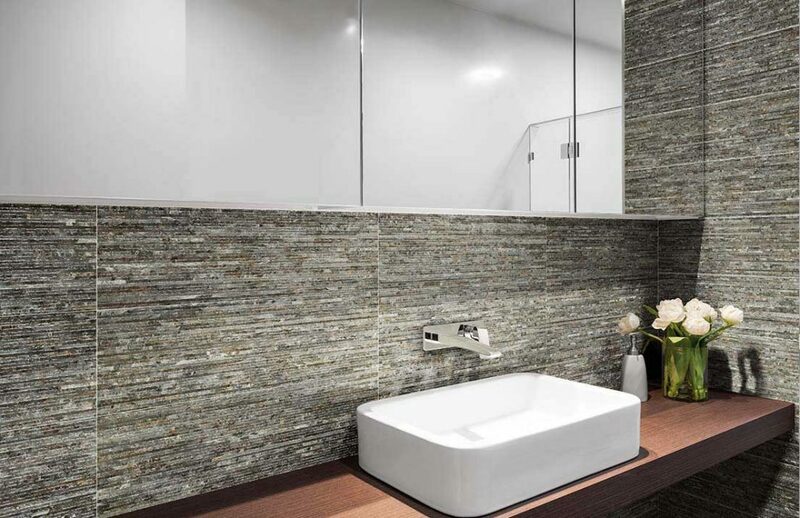 Adopt a clean and minimalistic look in your bathroom with the Nautilus Glass Tile. This feature wall tile comes in a classic grey finish and mimics the look and feel of textured glass and can be paired both with contemporary and traditional bathroom fittings. Buy this feature tile from us for just $80 per piece! When it comes to finding the best quality feature bathroom tiles in Perth, look no further than our store at Ross’s Discount Home Centre. Some of our current favourite feature bathroom tiles include the Charm Arabescato, Deco LYS Gris, Design Evo, Llanes Décor, Loft (Grafito), Marquez Jet Gris, Nimes Gris, and Nautilus Glass Tile. All of these feature tiles offer a stylish and trendy look, and they will allow you to transform your bathroom completely! To purchase our feature bathroom tiles in Perth, shop from our online store today!